The sun has fizzled down to an ember and the human race is left to figure out how to survive the frozen new world in Adams’ (Gulf, 2010) dystopian debut novel. A somewhat happily married couple, Guy and Lisa are holed up with their dog, Jemi, trying to keep warm in a South Carolina summer that barely gets above freezing. The sun is so close to disappearing most people just call it “the ember,” and mankind’s last-ditch effort to start it back up is to fire an arsenal of nuclear weapons into the center. The resulting solar aurora periodically disrupts the Earth's power grid, but it always comes back on until one day it doesn't, and as the sun doesn’t seem to be regaining its strength either, civil society begins to crack. When a menacing group called the Minutemen begins to flex its strength, Guy and Lisa have to navigate the growing chaos as best they can. As they join forces with other refugees, it looks less and less likely that the nuclear plan worked or that the power will ever come back on—and another brutal winter gets closer every day. 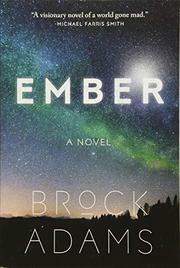 The prose flows well enough and the feeling of growing suspense provides adequate tension for a dystopian thriller. But it’s hard not to imagine how things might have been if the author had delved deeper into the worldbuilding he's only hinted at here and given the characters more complexity than the same tired tropes of marital fissure that are used so often in fiction. A good-enough survival thriller that doesn’t disappoint so much as it fails to truly impress.